The Olympic and Kitsap Peninsulas are home to the Olympic National Park and both the wettest and driest portions of Washington. The rain forest on the western coast of the peninsula measures annual rainfall in feet, while Sequim on the eastern side gets only 14 inches per year. The spectacular mountains in the middle create the difference. 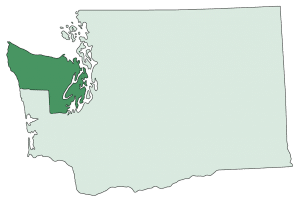 From the sunless “Twilight” vampire haven of Forks to the lovely harbor of Aberdeen and the Hood Canal, the Olympic and Kitsap Peninsulas are a visual treat and a wealth of natural beauty.